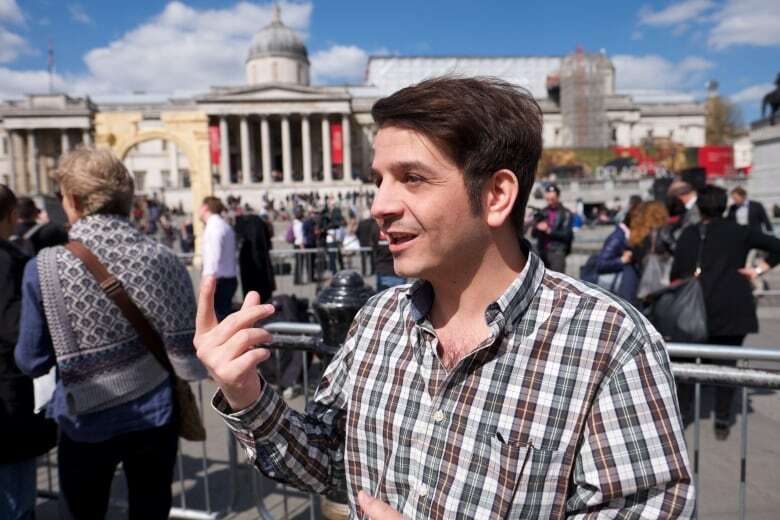 The recreated Arc of Triumph from the ancient city of Palmyra, unveiled in London's Trafalgar Square on Tuesday, earned rave reviews. 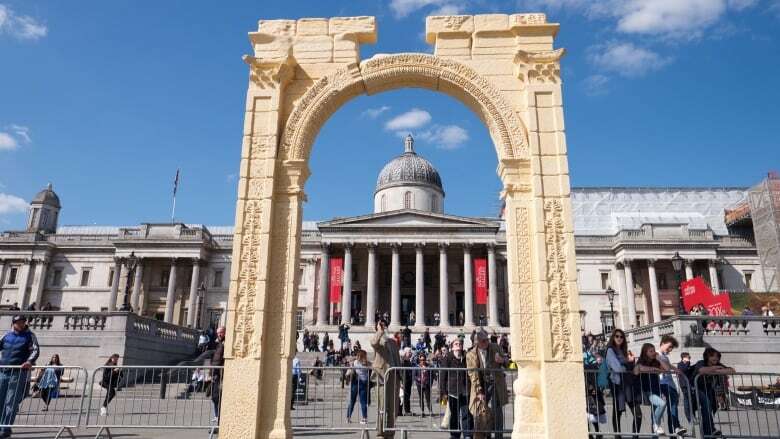 A 3D-sculpted reconstruction of the Arc of Triumph from the ancient city of Palmyra was unveiled in London's Trafalgar Square on Tuesday. The original 1,800-year-old arch was destroyed by ISIS in October, during their ten-month siege of Palmyra which ended in March. More yellow in hue than the original, the reconstruction is made from Egyptian marble and cost £100,000 to make. 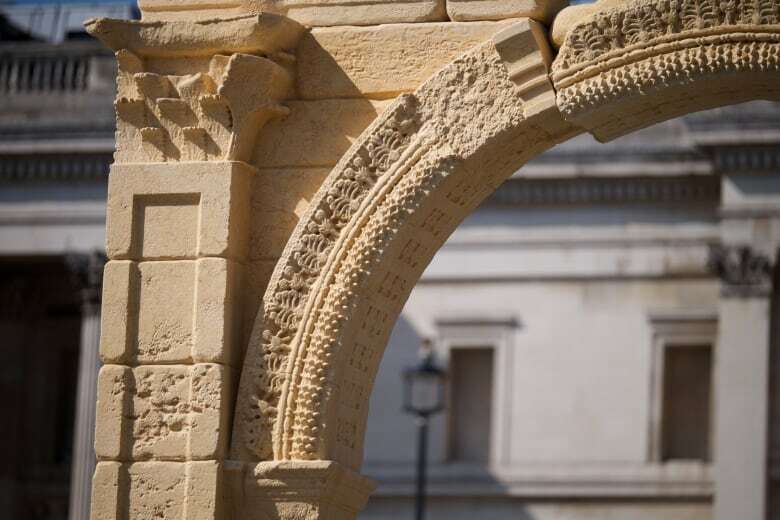 It was created using the Institute of Digital Technology's Million Images Database, a collection of 3D photographs submitted by volunteers to provide a blueprint for the replica arch. Institute director Roger Michel said in Palmyra they "could recreate everything in eight months," and that they'll be working closely with Syrians in the proposed reconstruction of Palmyra. "No one should should consider for one second giving terrorists the power to delete such objects from our collective cultural record," said Michel. There has been some concern as to whether the ability to rebuild the ancient city could lead to a painting over of its violent history, that recreating Palmyra with replicas could lead to a "Disneyfication" of the UNESCO world heritage site. Syria's top antiquities official, Prof. Dr. Maamoun Abdulkarim, has said that they will restore some buildings destroyed by ISIS, but never rebuild the actual city. He said they should "respect the identity of the city" as an ancient site. 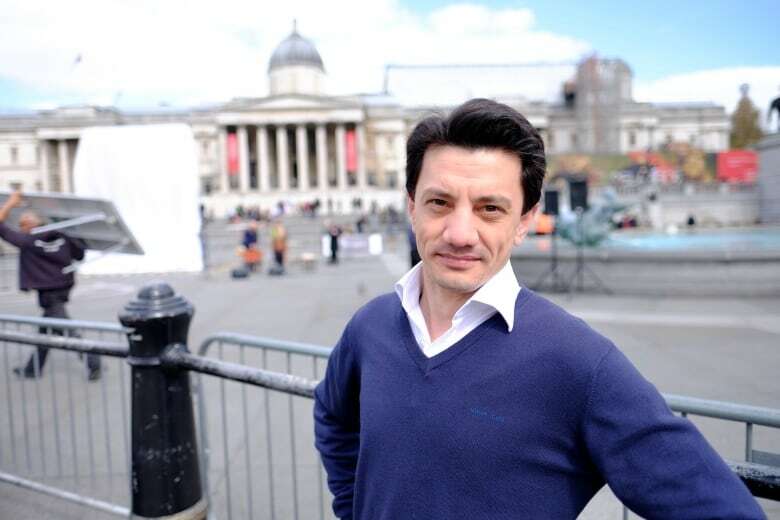 Obeid Obeid is from Palmyra. He described how every day people in Palmyra pass by the arches on their way to work in the fields outside of town. He said as a child he remembers climbing them, or stopping to rest in their shade for a brief reprieve on the way home. Obeid says he even noticed the reconstruction has the same small details on the underside of the arch as the original. 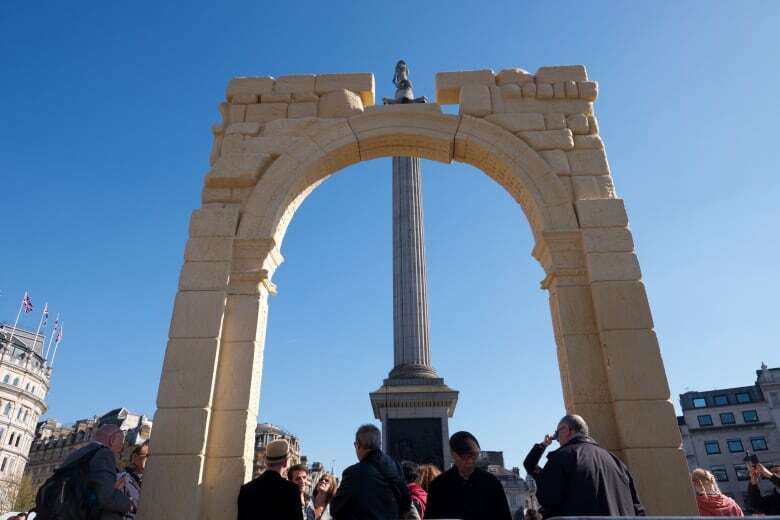 The arch will remain in Trafalgar Square for three days, then be transported to New York and Dubai before travelling to be installed in Palmyra near the site of the original.